It has been a day on which Storm Ali has battered much of the UK. A gust of 102.2mph was recorded on the Tay Road Bridge. Road, rail and ferries have been disrupted. Tragically there has been loss of life. Glasgow Queen Street and Glasgow Central’s high level. with emergency workers and council staff dealing with “multiple incidents”. 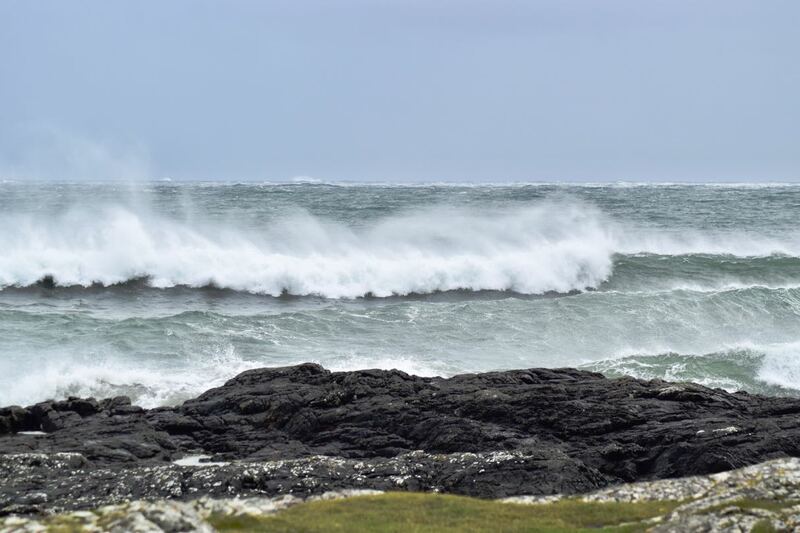 Thankfully thus far the Isle of Tiree has been spared the worst of the Storm. At 1:00am the wind gusted to 57 mph and 12 noon gusts reached 61 mph. 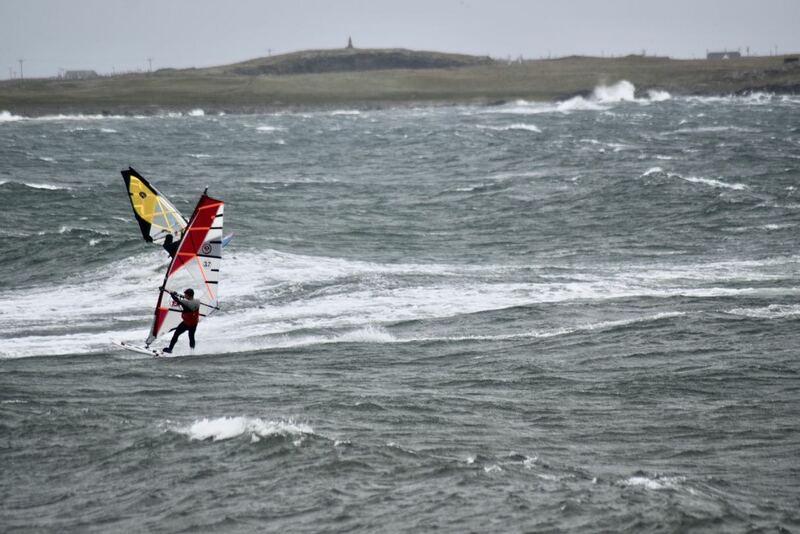 In fact for some on Tiree it has been a day to enjoy their sport. In the afternoon Baugh beach Crossapol was popular with sail boards. With the wind from the West, South-West the waves were rolling in. The water might have been grey but it was a colourful sight. 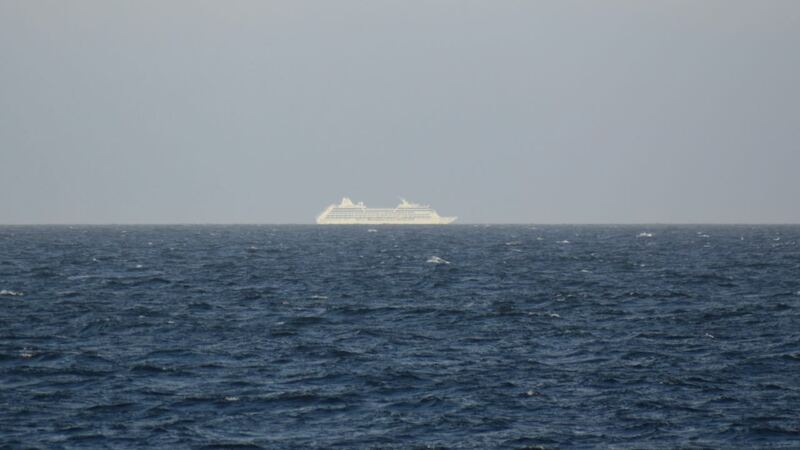 The previous evening the MH Nautica passed through the Passage of Tiree. She was south bound heading from Leith to Greenock on the River Clyde. Today tugs had to come to the aid of the cruise liner. after the ship parted its mooring lines. 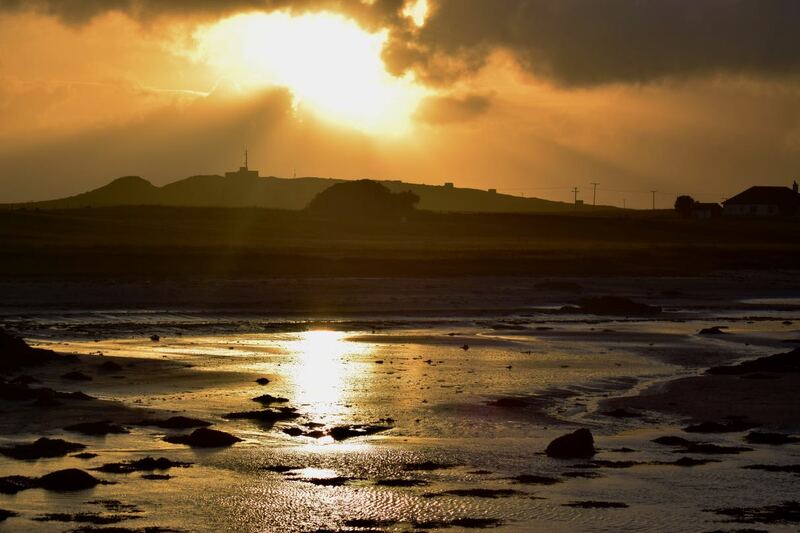 Under the summer timetable the Tuesday ferry arrives at Tiree at 18:50. As the ferry berthed it was known there would be no sailing on Wednesday. Due to anticipated swell conditions an amended timetable will be in place on Thursday. As the Clansman proceeded to sea the wind was beginning to rise. Was the setting sun a hint of today’s stormy conditions? It was certainly dramatic in its own way. Baugh beach, Crossapol, was like a different world. At times ominous clouds passed threateningly overhead. Moments later the sky turned bight blue with no hint of Storm Ali. 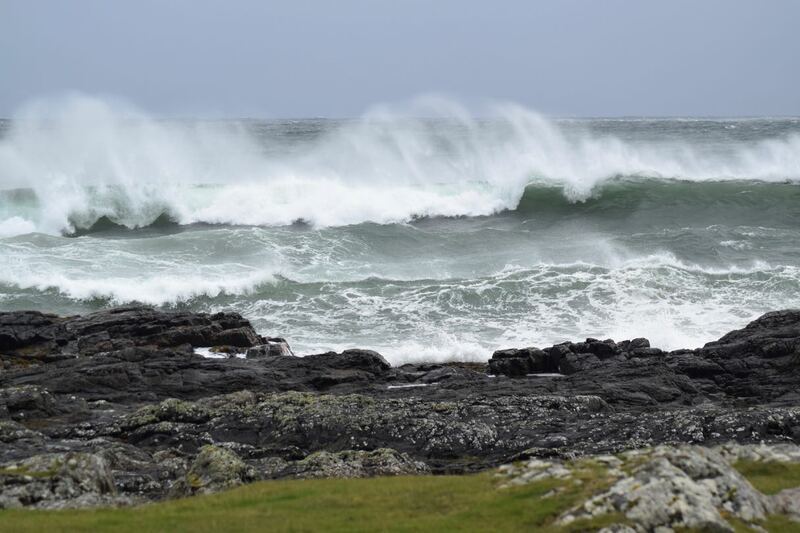 This evening Tiree made the BBC Scotland News. Gratefully the BBC were not present because of Storm Ali. 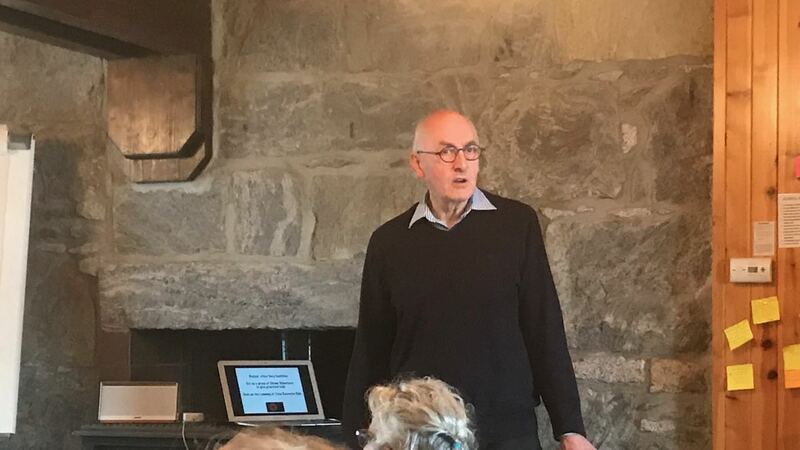 It is the Scottish Islands Federation 2018 AGM & Island Gathering. 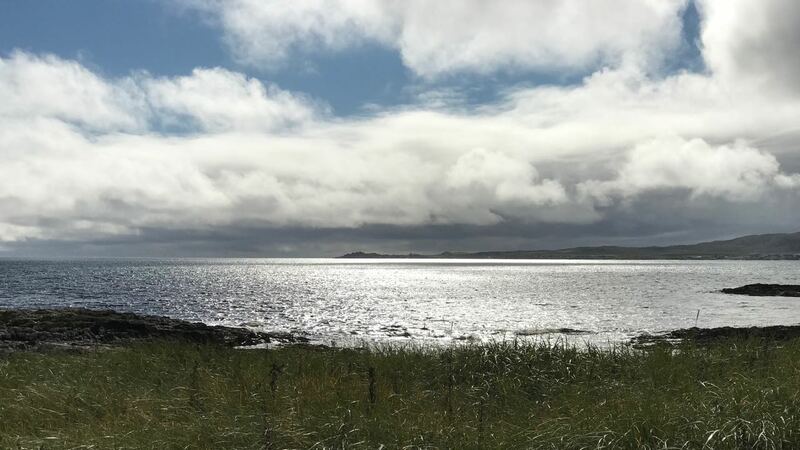 They have been meeting in association with the Tiree Development Trust. This is the second time in less than a week that Tiree has made the news headlines. 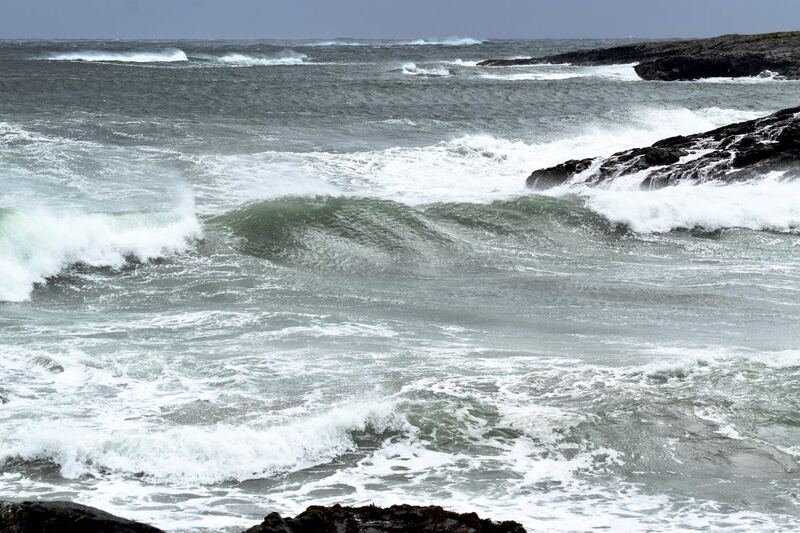 This is ‘Life on Tiree’ thankful that Storm Ali mainly passed us by.